We were parked in the road at Yellowstone National Park, gawking at a herd of bison, scoffing at a group of humans walking among them bravely, or stupidly. This was before iPhones and selfies, thank god. It was the summer of 2002. Or 2003. I was probably 12. Nobody in my family can remember. All I can remember is I was sitting in the back of my dad's brand-new sedan, on the driver's side. My sister sat next to me, with my parents up front. I understand very little about bison hierarchies, but it was obvious that one bison owned this herd. If bison can reach up to 2,000 pounds, I'd say this one was on the high end of that spectrum. There he was, being a huge, magnificent grump about everything. He just wanted them all to get to the other side of the road, and now he had to deal with these humans in the middle of it all, taking pictures. He made some weak attempts to scare the people off, walking among them and making them all get out of the way. He charged other bison. Then, he turned and saw us. He sprinted at us. (In reality, it was probably a light trot — let's remember this is a story based off a memory from me as a pre-teen.) He went straight at our car, my dad's brand-new car leased weeks before the trip. Imagine the horror he felt as he prepared for a head-on collision with a bison. And now imagine my horror as a jumbo-sized bison at the last second swerved away, then stopped on the driver's side, just outside my door. He was six inches away from my face. A window was all that separated the bison's eye from my eye. We made eye contact. He grunted. The car fell silent. Did he go terrorize someone else? Was he charging some more people? 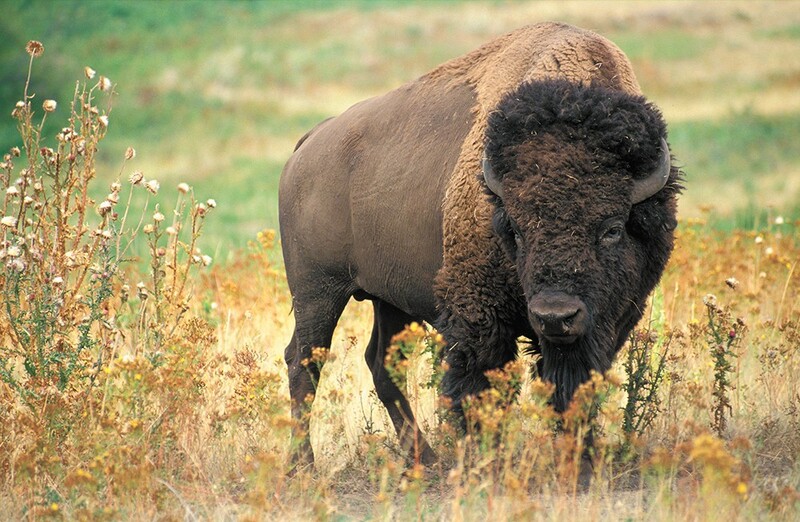 Or another bison? We have no idea, because all of us bursted out in laughter. I don't know what was so funny. We had to laugh, because it felt absurd. We were sitting on leather seats in the comfort of a car, and we briefly thought a bison was going to murder us and that our summer trip would have a horrific end. Instead, it was the opposite. The original print version of this article was headlined "My Best/Worst Summer Vacation"